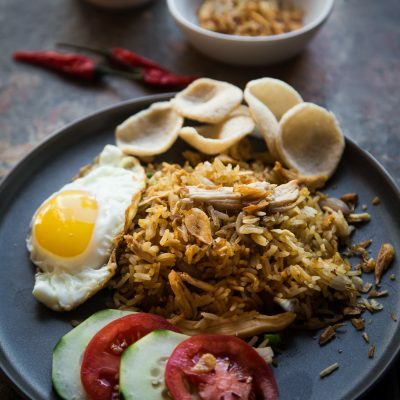 How to Make Good Indonesian Nasi Goreng- Learn how to make delicious and authentic Indonesian Nasi Goreng that will make you ditch the take-out forever. Perfect for any day of the week. 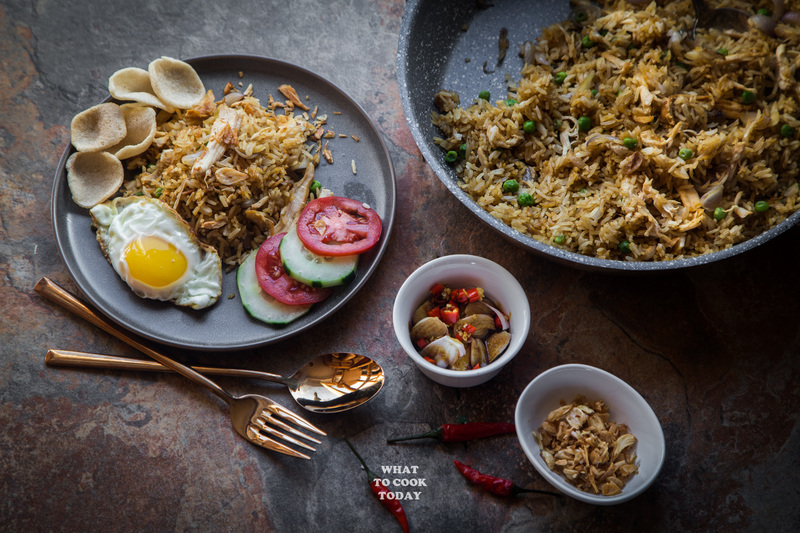 You can’t mention Indonesian culinary without including Nasi Goreng. 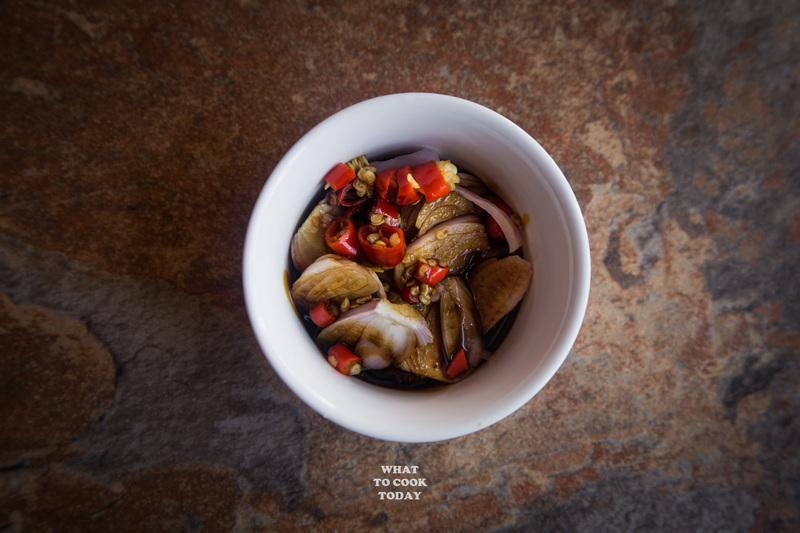 It is a super popular street food, home cook, you name it…everybody loves it. They are served as street food and also in restaurants. The variety of nasi goreng is countless too. I’ve made Nasi Goreng Pete (Stink Bean Fried Rice) before, which is one of my absolute favorites! My kids hate the smell, but husband and I love it! 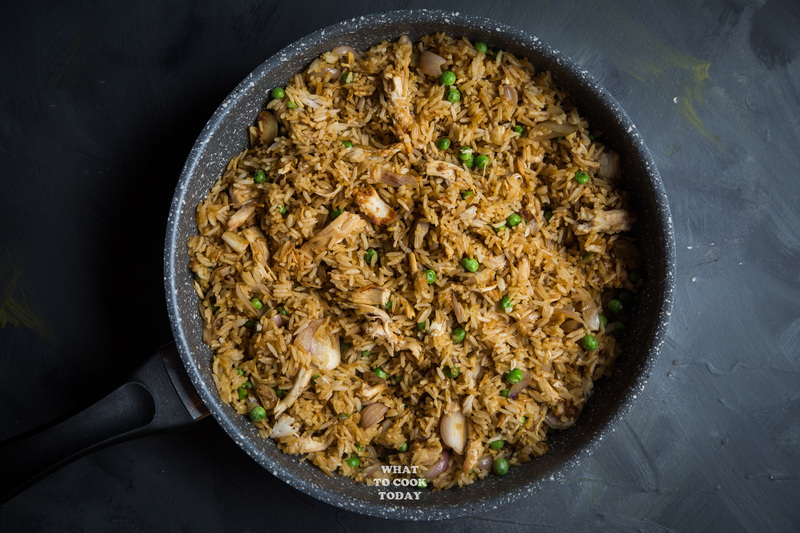 THE DIFFERENCES BETWEEN NASI GORENG AND OTHER FRIED RICE? 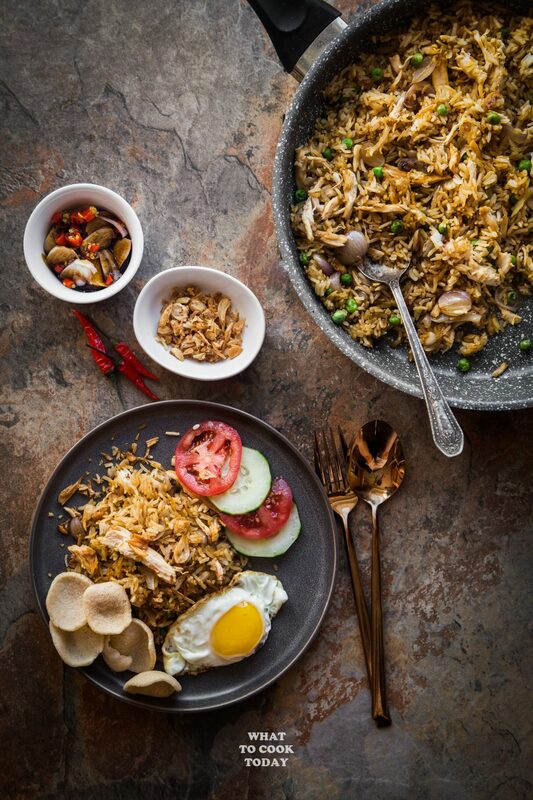 Nasi goreng in Indonesia is typically made with Indonesian sweet soy sauce (Kecap Manis) and more often than not, belacan (shrimp paste). 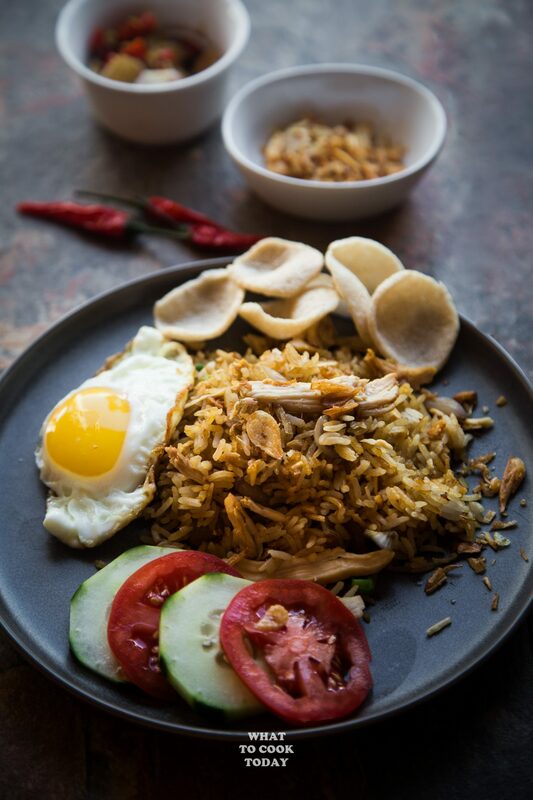 Fried egg is another one that you will typically be seen served with nasi goreng in Indonesia. Meat that is typically used is chicken, but really anything can be used, such as ham, luncheon meat, beef, turkey, or even seafood like shrimp. Sky is the limit! In Indonesia, many dishes like rice and noodles are accompanied with crackers like in this case, prawn crackers. Bawang goreng (Crispy Fried Shallots) is inevitable when it comes to nasi goreng. In fact, bawang goreng is very commonly seen in many dishes as toppings. I always make sure my pantry is stocked with bawang goreng. Slices of fresh cucumber and tomatoes often accompanied nasi goreng too. Like in many cases of stir-frying, making a good fried rice needs a good heat. Make sure your skillet or wok is well preheated. Watching the people cooking on the street, I could see the rice grain “jumping” on the wok because of the high heat. That is pretty obvious, isn’t it? Leftover rice in the fridge is best in this case. I usually cook extra rice for this reason. But if you don’t have leftover rice, you can always cook the rice on the same day but make sure to spread it out on a sheet pan to let it cool down completely, at least 2-3 hours for the best result. This is to prevent the rice clumping together and make the fried rice looks “wet”. A bowl of good fried rice has a nice separable grain of rice. 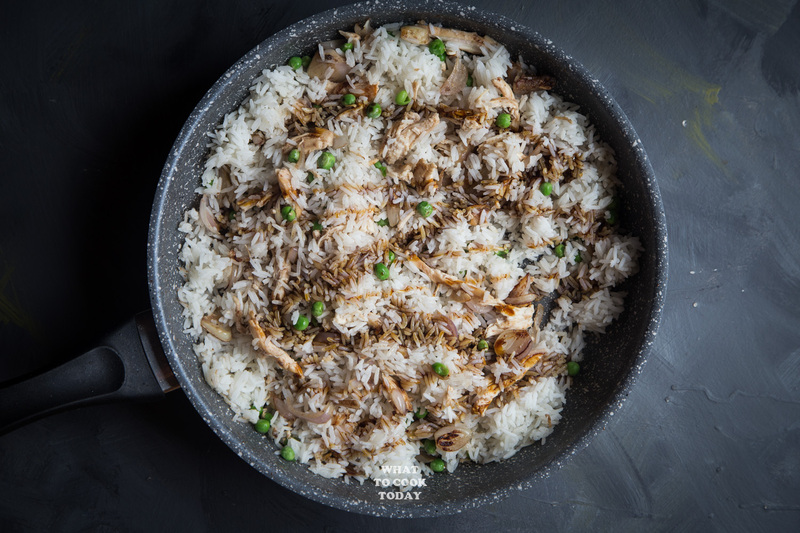 In Indonesia, fried rice is typically made with Blue Band margarine. Butter is more expensive and since this is popular and economical food, margarine is widely used in Indonesia. The smell is just incredible when you use it in fried rice. It is impossible to find here in the U.S. So, I just use butter. If I don’t put any chili in the nasi goreng when I cook it (because of my kids), then I like to eat it with this sambal kecap pedas. It’s not commonly served with nasi goreng, but I love it! Those are just the basic anatomy of typical Indonesia nasi goreng. Sometimes other spices like turmeric and galangal might go inside nasi goreng too. If you ask me, there’s no hard and fast rule of what goes in nasi goreng as long as it has the basic anatomy I mentioned earlier. 1. 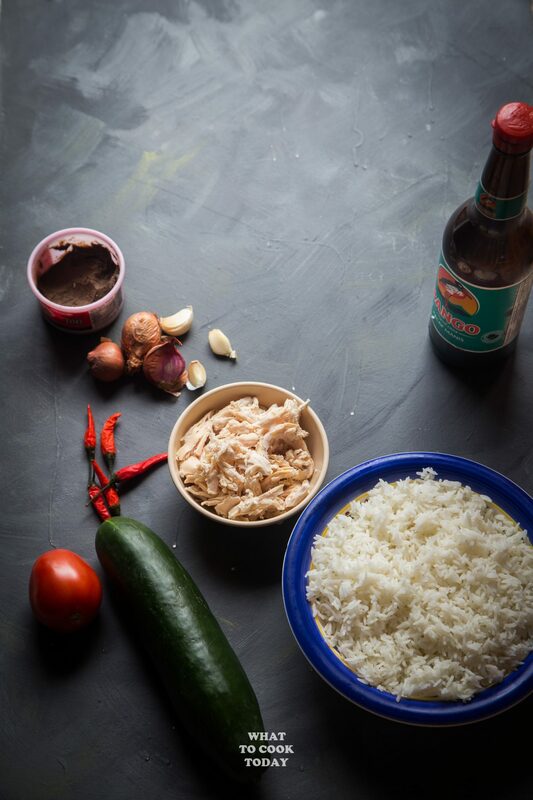 What is a good substitute for Indonesian kecap manis? Kecap manis is basically darker, thicker, and sweetened. You can make your own by using dark soy sauce, which is not as salty but thicker than regular soy sauce and add coconut sugar (palm sugar). The ratio can be 1:1. Cook this over low heat until the sugar is melted. Have a taste. It should be sweet with a hint of savory. 2. Can I use brown rice for nasi goreng? You certainly can. I do that pretty often for a healthier version. Use long-grain brown rice instead of short-grain brown rice if possible. Short-grain rice is usually a bit stickier. 3. How to reheat nasi goreng? You can either use a microwave or reheat them on stove-top by stir-frying briefly again until it is heated through. 4. Can I make a big batch and freeze? I’ve never done that before but I know people who do that. I recommend portioning them into a smaller individual freezer bag and when ready to eat, they can go from frozen to microwave or straight to the pan and cook until heated through. Frozen fried rice tends to be “wetter” at first when you reheating, but you continue to stir-fry until the water evaporates. 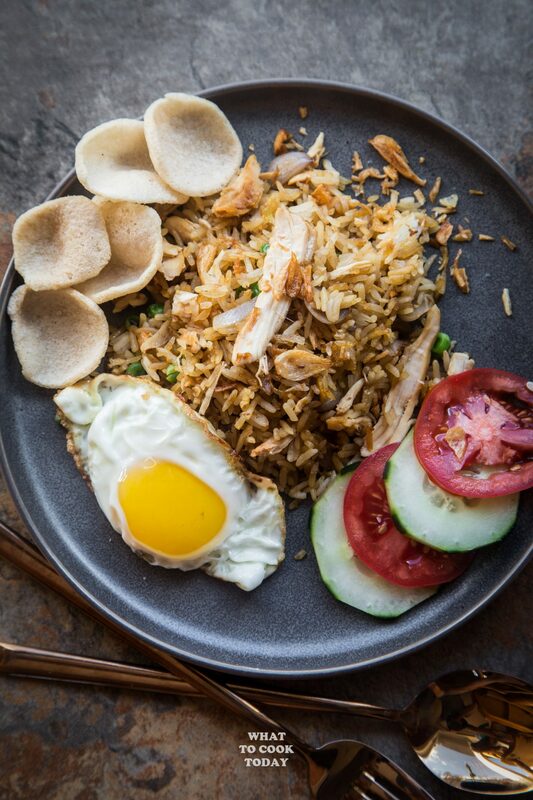 Learn how to make delicious and authentic Indonesian Nasi Goreng that will make you ditch the take-out forever. Perfect for any day of the week.